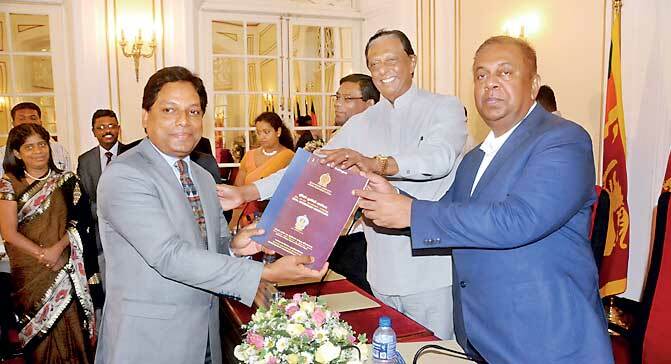 Reaffirming the Government’s commitment to build bridges with the Diaspora communities, Foreign Minister Mangala Samaraweera yesterday handed over dual citizenship certificates to 150 Sri Lankans living overseas. 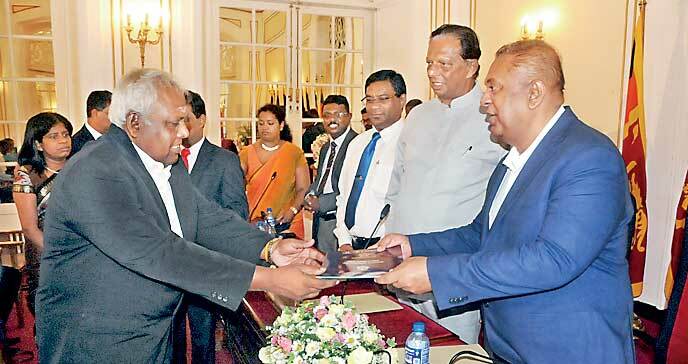 At a ceremony to hand over the dual citizenship certificates, Minister Samaraweera issued a warm welcome to Sri Lankans who he said had chosen to renew ties with their country of origin. “President Maithripala Sirisena realises the true value of the Diaspora community and welcomes you all as our citizens,” the Foreign Minister said during the ceremony. The Foreign Minister said that only 34,000 Sri Lankans abroad had made the commitment to hold Lankan citizenship since 1987. The process of issuing dual citizenship to Sri Lankans living overseas had been suspended by the former Rajapaksa administration, which set up a new process for deciding on the granting of dual citizenship following an interview with a board headed by ex-Defence Secretary Gotabaya Rajapaksa. The move was widely seen as being a means to curtail the number of Tamil Sri Lankans holding dual citizenship. But Minister Samaraweera’s comments yesterday reflected the Sirisena Government’s new policy to engage with Sri Lankan communities living overseas. The Foreign Minister noted that the Sri Lankan Diaspora had demonstrated their contribution to the advancement of science and technology, the pursuit of justice and the production of wealth in many overseas nations. “There is much you can contribute and there is much that we can learn from your experiences,” he told the new dual citizenship holders at the Republic Building in Colombo. Minister Samaraweera hoped that with Sri Lanka opening its doors to welcome them, these Sri Lankans living overseas would respond by returning home to become stakeholders in the country’s new journey towards reconciliation and development. He said the Government was trying to think of new ways to embrace and engage Lankans living overseas, and urged them to be innovative as they join in the country’s journey. “Above all, it is your passion that Sri Lanka needs: the passion to motivate and mobilise the Diasporas and the world to join our journey in creating a new Sri Lanka as a reconciled and united nation at peace,” the Minister said.